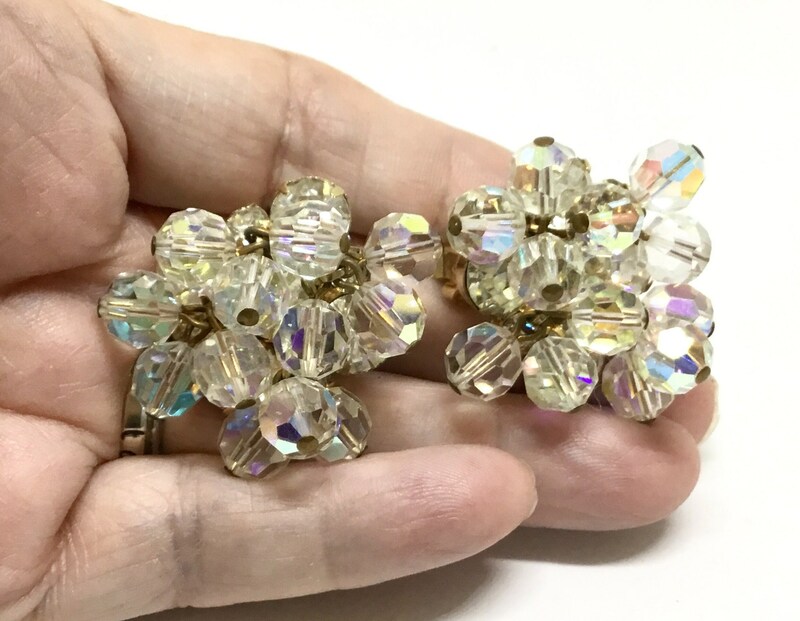 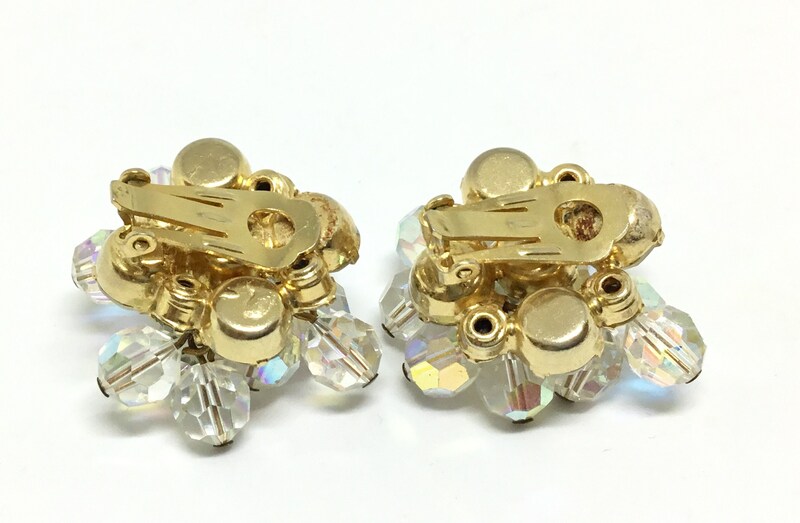 This is a great pair of goldtone unsigned vintage glass bead and rhinestone dangle clip earrings. 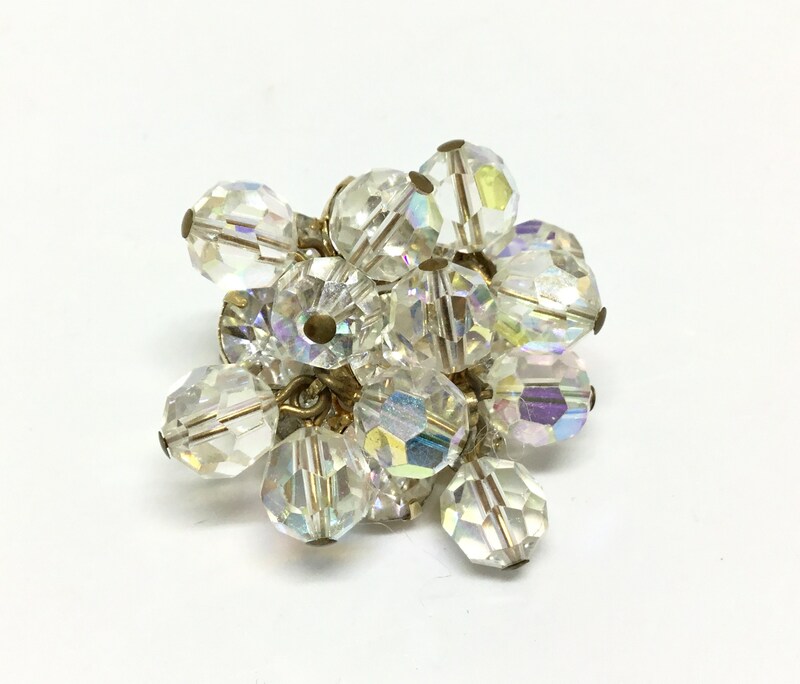 The base is a circle of alternating large and small clear and sparkly rhinestones and with a large center rhinestone. 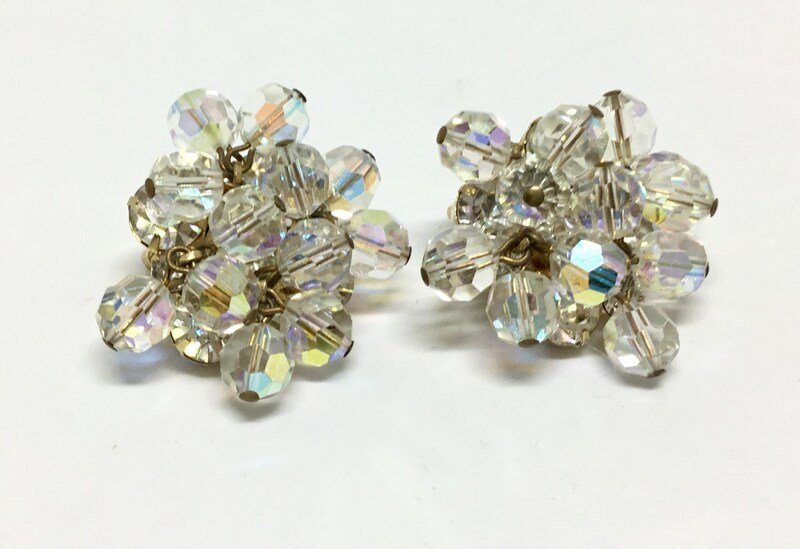 There are ten AB faceted glass dangling beads attached between the rhinestones. 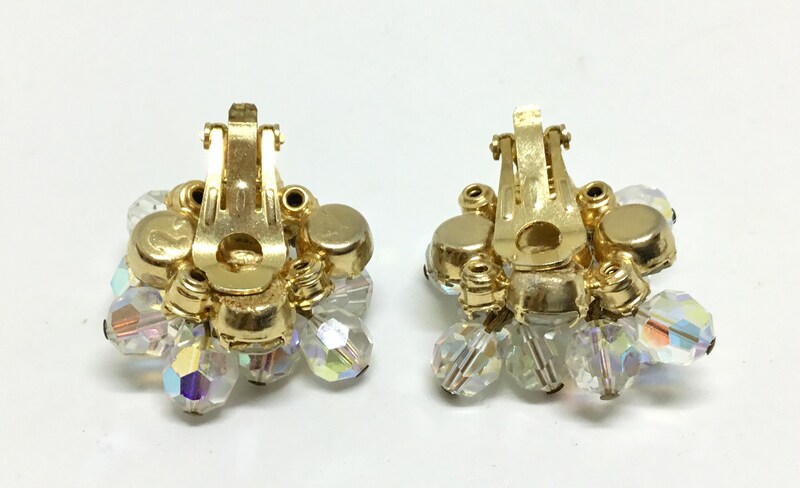 The earrings are 1 1/4” in diameter and the clips are tight. 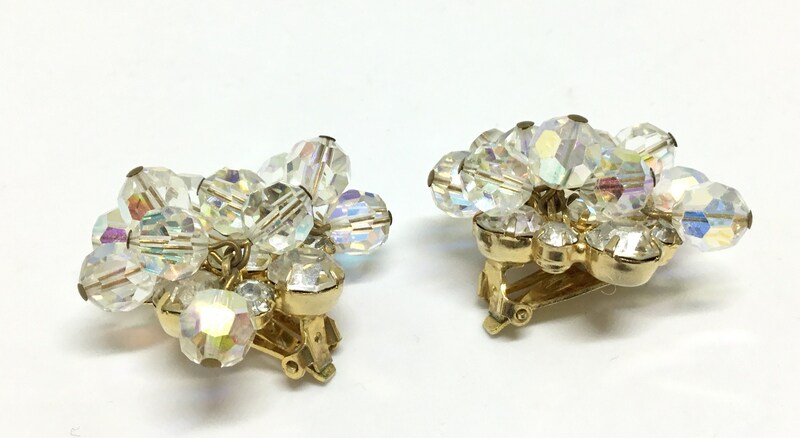 They are in great condition with wear where the clips meet in closure. 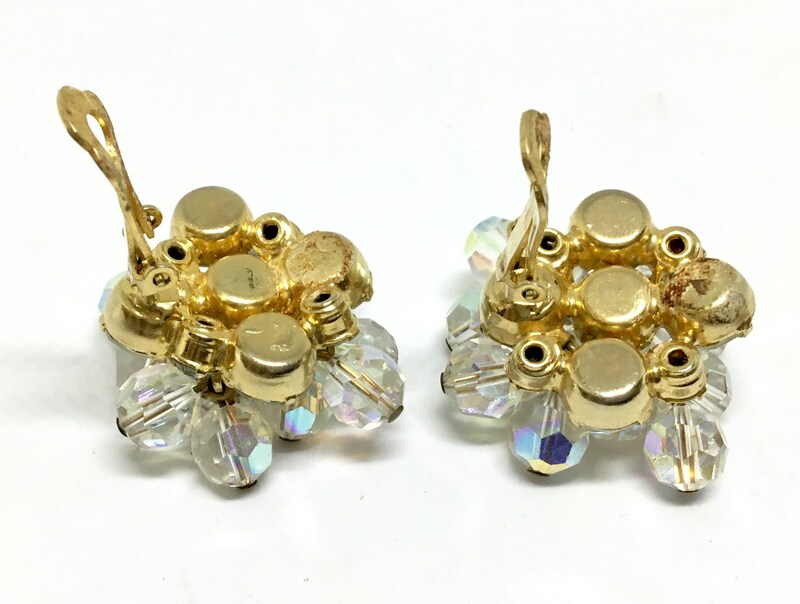 A wonderful pair of sparkly vintage earrings to keep and wear to look fabulous or to give as a gift!